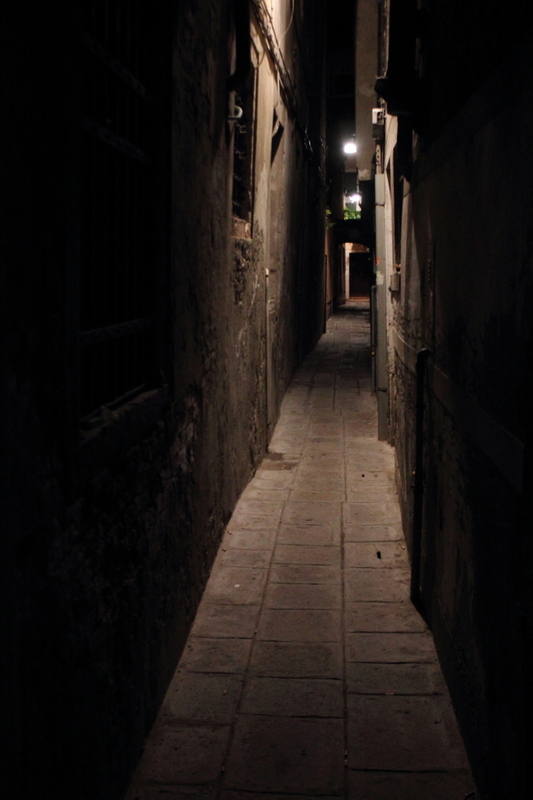 Dark alleys give the gritty, urban, shadowy feel. Darkness in Venice allows you to travel back in time. The city of Venice undergoes an interesting transformation at night into a spooky, quiet ghost town. Occasionally, you can hear distant music or echoing drunken yelp through the alleys, but for the most part it is just you and the rats.